Lag screws are extremely tough fasteners that are very large in size compared to ordinary screws (1/4” in diameter or larger). Unlike wood screws that thread as they enter, hex head lag screws require a hole to be drilled before they can be used. Since wood lag screws are usually used to connect heavy lumber, or other heavy materials that are bearing an intense load, they require a nut which adds extra strength and security. While more common wood and sheet metal screws are available in multiple head types, lag screws are only available with hex heads. The purpose of the hex head design is to add as much torque as possible, which can be applied with a power drill and driver bit. Follow the links above to find the ideal hex head lag screw for your application, or use the filters at left to narrow your search by size, length, material, and other factors. With our huge inventory, we’re sure to have the hex lag screws you need. 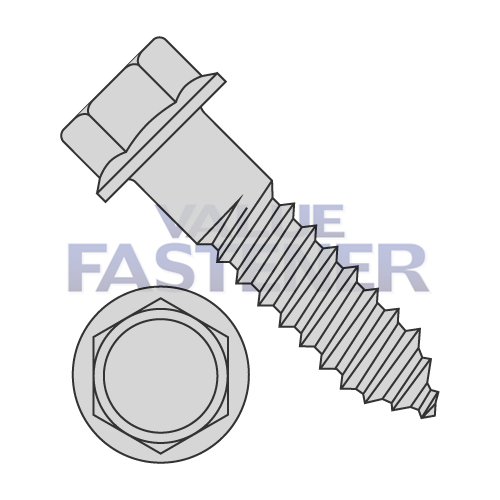 Value Fastener offers a large, in-stock selection of zinc-coated steel lag screws, galvanized steel lag screws, and 18-8 stainless steel lag screws. We stock a wide range of diameters and lengths, including metric lag screw options. Our inventory includes full-bodied trimmed hex lag screws, full-thread indented hex lag screws, and hex flange lag screws with serrated hex washers. Contact us for more information on our large inventory of lag screws and other possible applications, or request a quote today.